Some of the cars available at the SMMT Test Day South 2017; photo courtesy Jeremy Walton. Testing Times! Kim Henson reports. 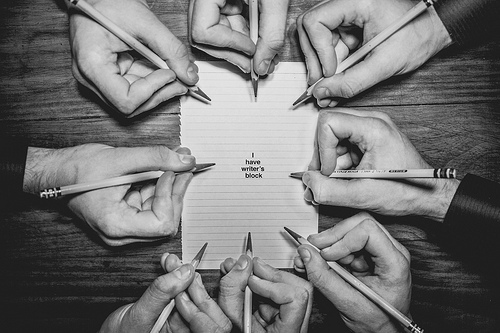 All words and photos by Kim, with the exception of the main heading photograph, kindly provided by Jeremy Walton. 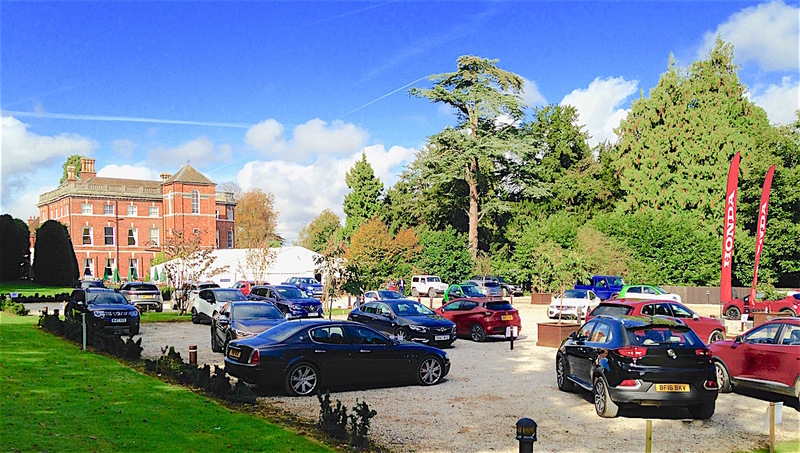 Each year the Society of Motor Manufacturers and Traders (SMMT) holds a driving event specifically for motoring writers from the south of the UK. I value this day as it provides an opportunity for catching up on the latest automotive developments, and for driving a wide range of new cars from a number of manufacturers, on the same day and therefore in similar weather and road conditions. 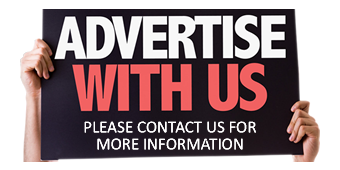 It also gives us writers the chance to meet and chat with fellow writers, as well as our motor industry public relations colleagues. 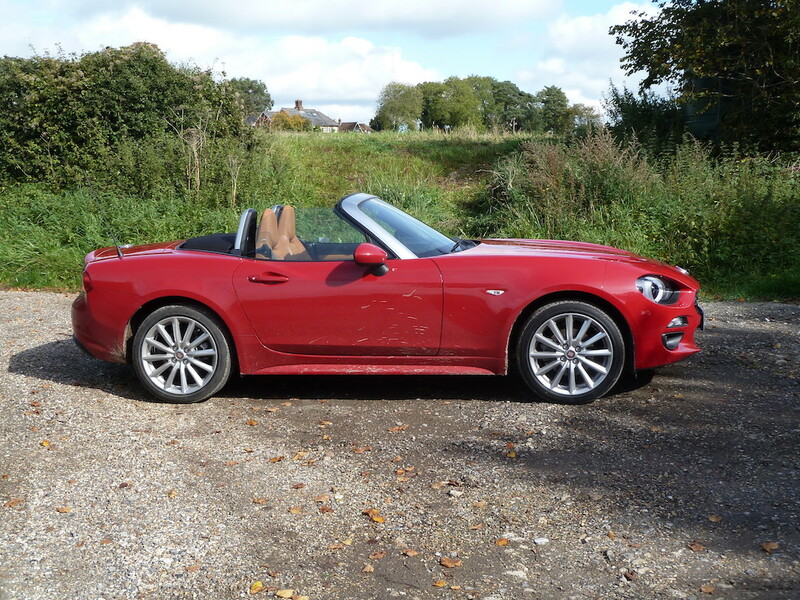 High on my personal list of cars I was hoping to test-drive on the day was Fiat’s 124 Spider. In fact I had previously sampled one very briefly earlier this year, but alas at that time there were only a few minutes of driving time available. 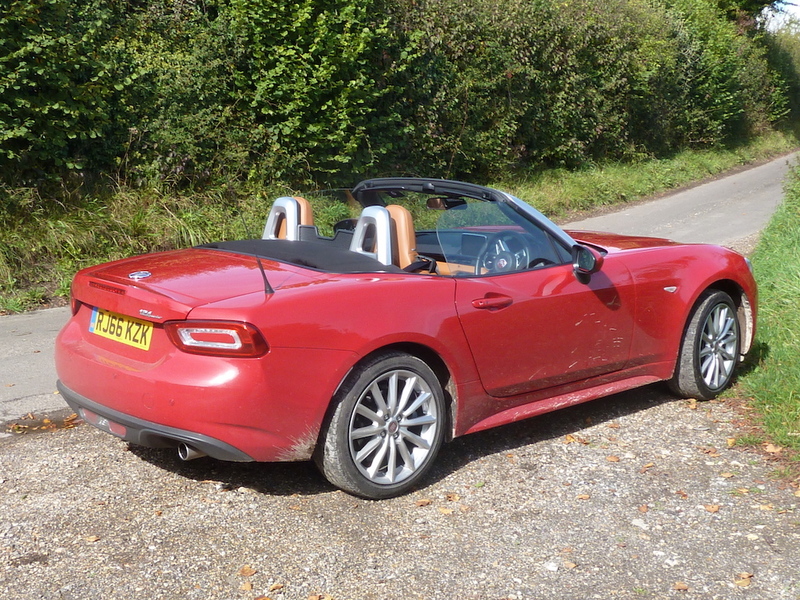 This time I was able to try the Spider, with its 1368cc four cylinder turbocharged petrol engine, over a much longer route, taking in fast ‘A’ roads, twisting country lanes and a variety of surfaces. I like the styling of the latest Spider, which (in the same way the 21st Century Fiat 500), unashamedly uses design cues related to a Fiat model of many decades ago – in this case the legendary 124 Spider of 1966. It’s not obvious from the outside, but Fiat’s modern Spider incorporates much input from Mazda, and has a platform and inner panelwork based on these assemblies from the MX-5 (which I regard as a fine modern sports car in its own right). Indeed this Fiat is built in Japan too. However, it has a distinctly Italian appearance, courtesy of outer panels developed by Fiat. In addition, under the long, sleek bonnet is Fiat’s own 1.4 litre turbocharged petrol engine, which develops 140 bhp and bags of low speed torque (240 Nm or 177 lb.ft @ 2,250 rpm). Further Fiat components include transmission and suspension units, also parts of the interior and equipment. The comfortably-furnished, high specification Lusso Plus features a wealth of standard features, including a seven inch touch screen DAB radio/multimedia system, incorporating a navigation system with three dimensional mapping, Bluetooth and WiFi connectivity, two USB ports and Aux-in facilities. 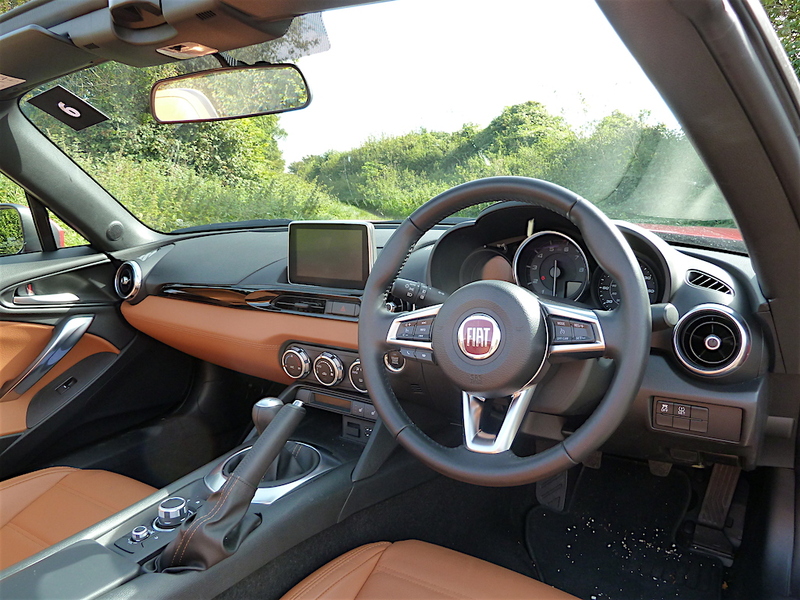 The Fiat performed beautifully during my test drive, providing eager acceleration from rest and on the move, courtesy of its gem of an engine delivering strong pulling power from low rpm, yet equalling loving higher revs for fast overtaking and hill climbing. It was also a refined cruiser at high road speeds. The six speed manual gearbox was also delightful to operate, with a smooth and slick-shifting gearchange. On a twisty road route, slippery in places after overnight rain, the car felt positive at all times, with sharp steering, reassuringly good brakes and forgiving handling. 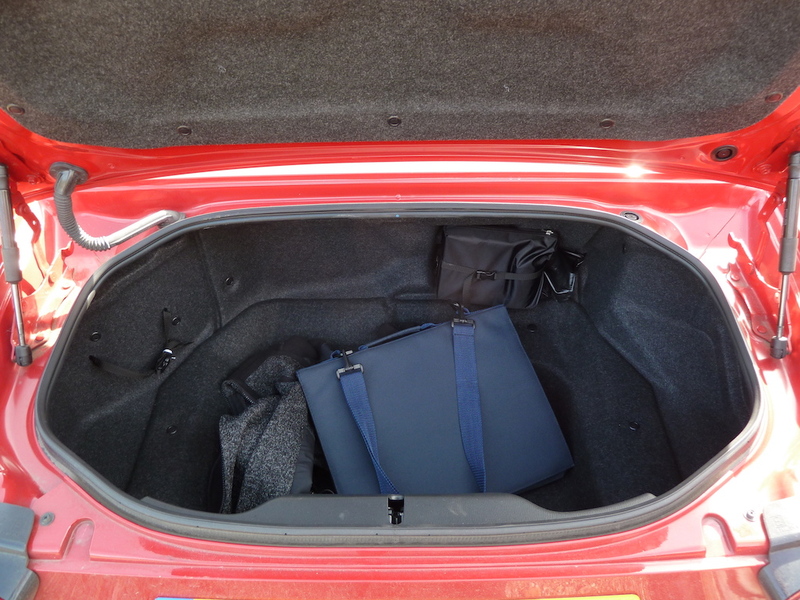 The boot is not huge, but far more accommodating than is the case with many two seater sports cars. Space for storage within the car’s interior is not plentiful, and it is worth mentioning that with the hood raised, entry to and exit from the vehicle requires some dexterity. However, the purpose of this car is to provide fun, fun, fun – and sheer enjoyment of driving, which it does. For the record, fuel consumption promises to be reasonable, with a reasonable expectation in real life motoring of around 35 to 40 mpg overall. A great modern Fiat sports car, in my opinion good-looking and rewarding to drive. The price? £25,050 ‘on the road’ (my test vehicle was finished in Special Pastel, Passione Red paint, which adds £350, bringing the total cost of the car to £25,400). 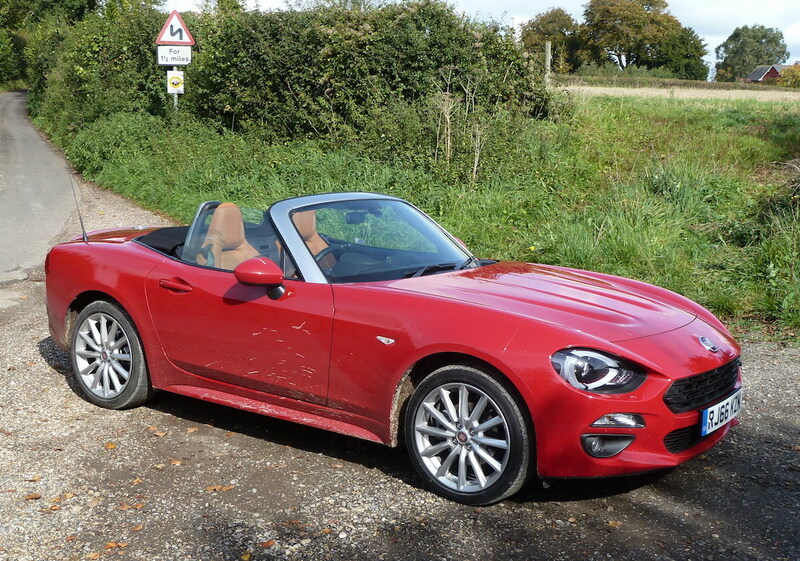 Price: £25,050 (as tested, with Passione Red paint, £25,400). Engine: 1368cc four cylinder petrol, 140 hp @ 5,000 rpm; 240 Nm (177 lb.ft) torque @ 2,250 rpm. 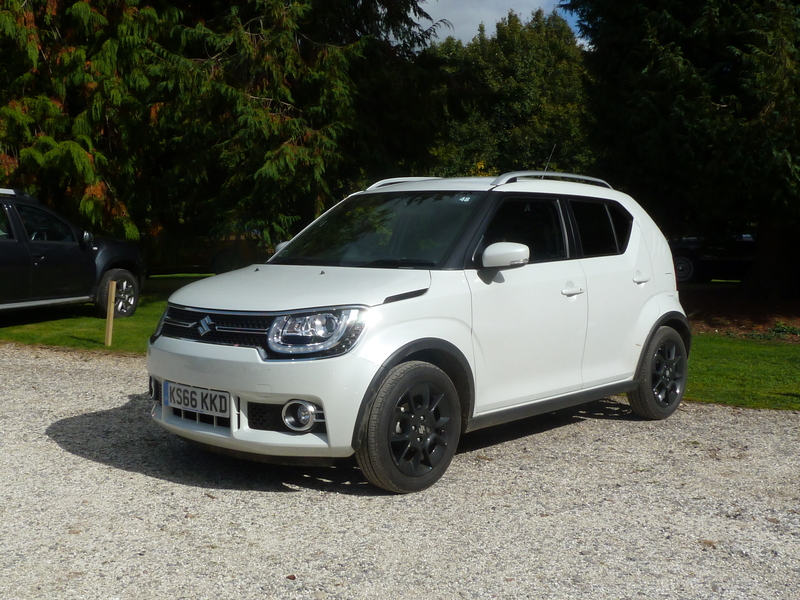 Suzuki’s Ignis, launched earlier this year, has already proved popular with buyers, providing good performance, commendable interior space, generous luggage accommodation and comfort, within an attractive package and at a sensible price. For my brief test drive on this occasion I sampled the very well-equipped SZ5 version, powered by Suzuki’s 1.2 litre Dualjet engine, incorporating SHVS. To translate… ‘Dualjet’ means that the motor employs twin fuel injectors for each cylinder, mounted very close to the inlet valves to provide a finer fuel mixture, in turn resulting in a more effective transfer to the cylinder, meaning greater efficiency. 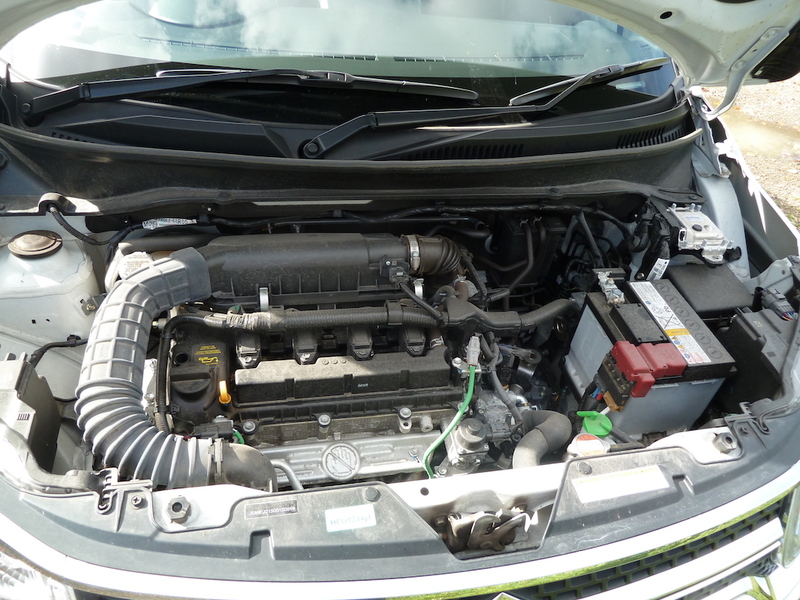 ‘SHVS’ denotes ‘Smart Hybrid Vehicle by Suzuki’ (in effect, a ‘mild’, compact and lightweight hybrid system), and for Ignis buyers, when specified with the SZ5 specification level, it is provided in conjunction with the 1.2 litre Dualjet engine. The heart of the SHVS set-up is a belt-driven Integrated Starter Generator (‘ISG’), which works as both a starter motor and generator. It assists the petrol engine during start-off and acceleration, in addition to which it generates electricity during engine braking, with an ‘instant’ dash readout indicating to the driver what the system is doing at any given time during a journey. The system also incorporates a compact, high performance 12 volt lithium-ion battery, housed beneath the front passenger seat, to store energy. In addition, the set-up features an idle stop function, operated via the ISG. In Ignis models with SHVS, the car’s conventional starter motor is only required when starting the engine from cold; at all other times the ISG is used, and permits smooth, quiet engine re-starts (as confirmed during my test drive). 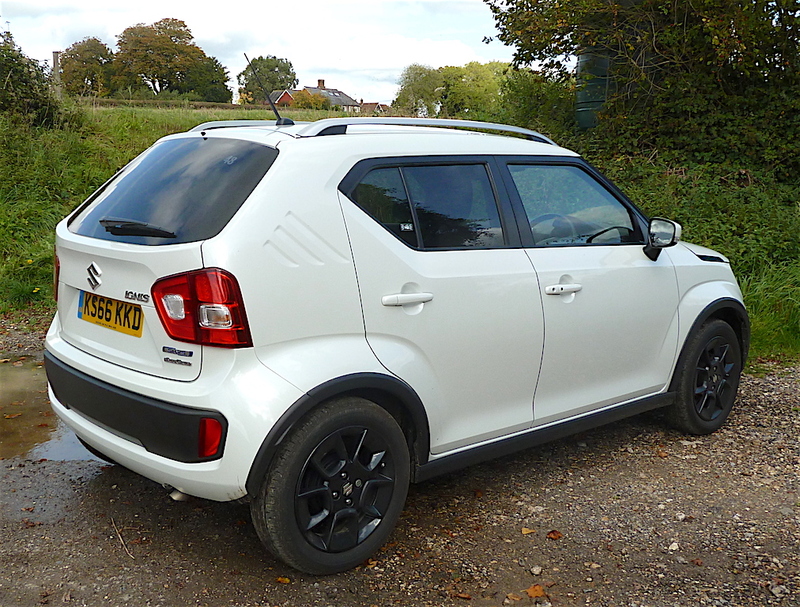 Benefits of Suzuki’s SHVS system, compared with hybrid arrangements from other manufacturers, is that it is compact, lightweight and relatively straightforward (and therefore cost-effective), so is ideal for use in fairly small cars like the Ignis. ALLGRIP is the name adopted by Suzuki for its four wheel drive technologies, the details of which vary according to model. 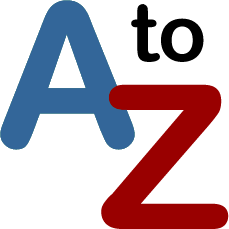 (WATCH THIS SPACE! 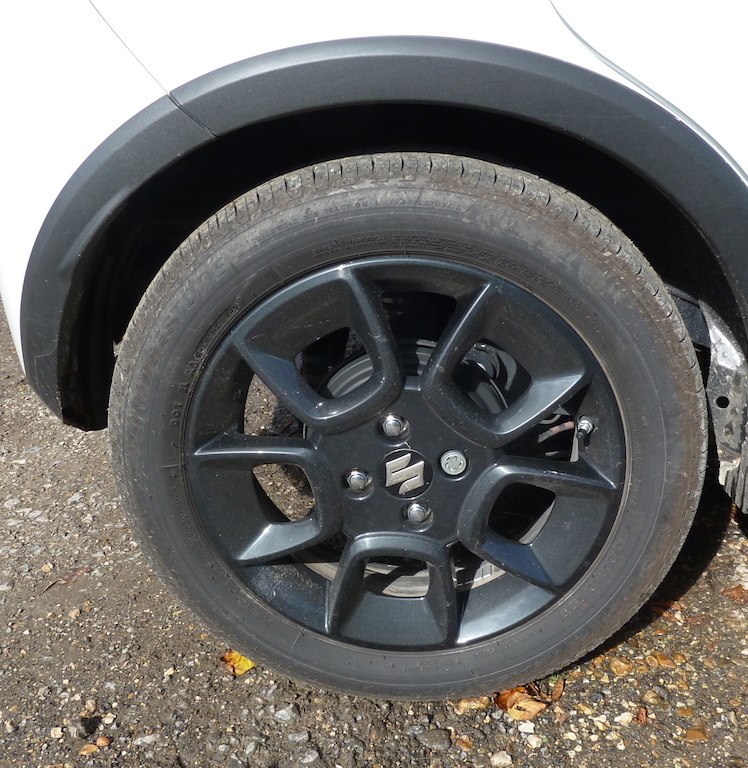 Coming soon… I shall be bringing you a more detailed analysis/test drive report on Suzuki’s four wheel drive systems and how they differ between the company’s various models). When ALLGRIP four wheel drive is specified by Ignis customers, the firm’s ‘Auto’ version is employed. This does not imply automatic transmission, but denotes a proven, straightforward fully automatic and permanent four wheel drive system that, when required and via a viscous coupling (which effectively acts as a centre differential), transfers additional torque to the rear wheels. This is a useful mobility aid for slippery conditions and rough terrain, and aids cornering ability on normal road surfaces. Hill Descent Control and Grip Control are built-in features of the system. Grip control is switched on by the driver and operates on slippery surfaces at speeds below 18 mph. It concentrates torque on the driven wheels that are finding grip, and rapidly applies braking to a wheel that is spinning. Due to the use of compact, lightweight parts, the ALLGRIP versions of the Ignis are only 50 kg (about 100 lb) heavier than two wheel drive versions, with a slightly reduced luggage capacity (to accommodate the rear differential) and marginally higher CO2 emissions (106 g/km, compared with 97 g/km for two wheel drive variants). On this occasion I had no opportunity to drive on unmade surfaces, but on normal roads I found that the car was smooth-running and quiet, yet sprightly in nature. 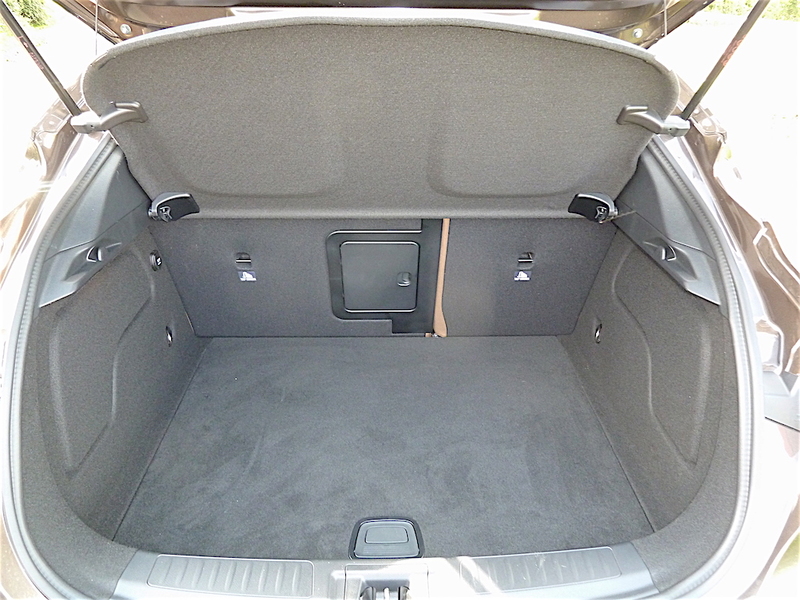 I was impressed by the reasonable head and leg room in the vehicle (bearing in mind its fairly compact overall size), also by the generous luggage space. The Ignis felt positive to drive on twisty roads (sometimes covered in wet leaves and mud), with reassuring handling and effective brakes. It was a refined cruiser too, and at 60 mph in top (fifth) gear, the tacho needle indicated just 2,500 rpm. From past experience with a variety of Suzuki models, I know that the official ‘Combined’ fuel consumption figures come closer to real life expectations than is often the case. Therefore, with an official figure for this model of just over 60 mpg, I would expect something in the region of 50 to 55 mpg in everyday motoring. Impressive and in SZ5 form as driven, very well-equipped, especially for the price (just under £15,000 with optional Pearl White paintwork). Price: £14,499 (as tested, with Pearl White paint, £14,964). Engine: 1242cc four cylinder petrol, 90 PS @ 6,000 rpm; 120 Nm (88 lb.ft) torque @ 4,400 rpm. Transmission: Five speed manual gearbox; four wheel drive. 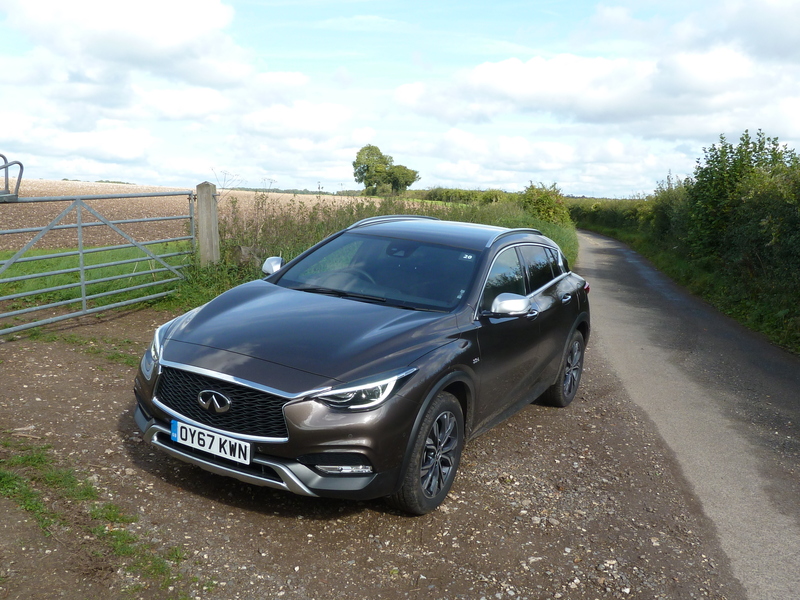 The Sunderland-built Infiniti QX30 hatchback provides a fascinating alternative to mid-sized competitors from the likes of Audi, BMW, Lexus, Mercedes-Benz and Volvo. The high specification ‘Premium Tech’ version that I drove (and with a basic price of £34,225 before options) was bursting with sophisticated standard equipment and fittings. 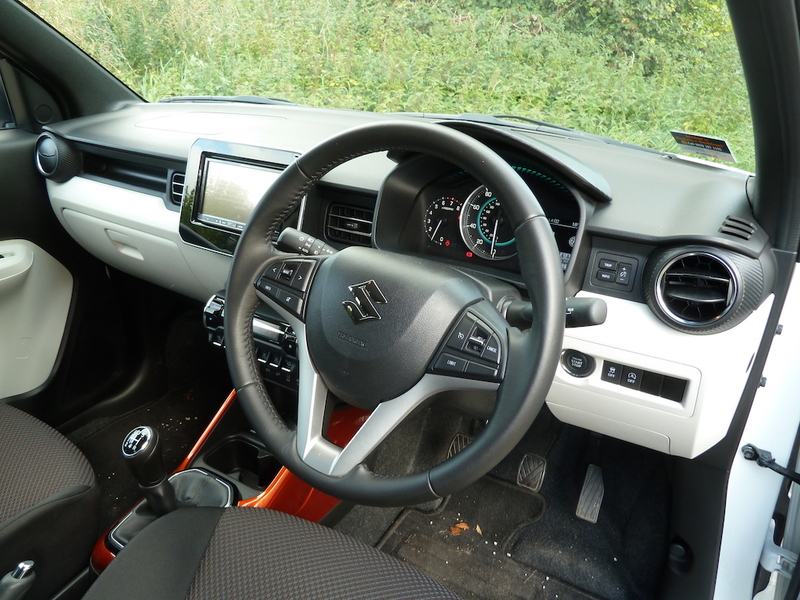 My test car had £3,500 worth of options installed too, notably including a ‘Safety Pack’ costing £1,800 and covering Blind Spot Warning, Automatic park assistance with Around View Monitor (AVM) and Moving Object Detection (MOD) and Intelligent Cruise Control (ICC). 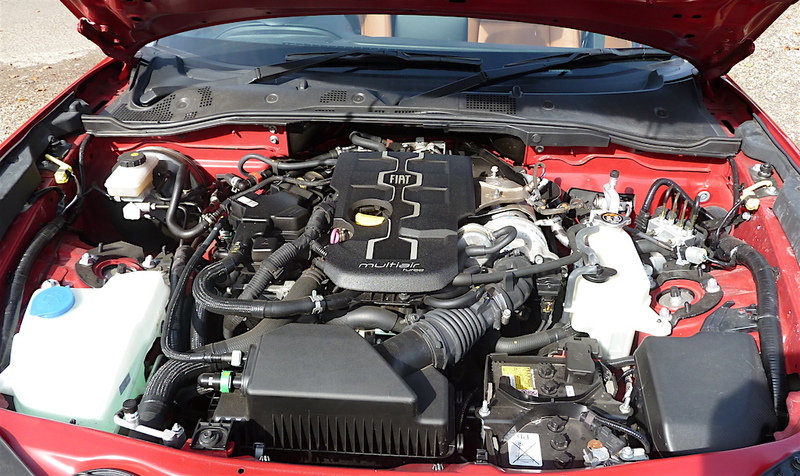 Under the bonnet was a 2.2 litre four cylinder diesel motor, developing 170 PS between 3,400 and 4,000 rpm, and 350 Nm (258 lb.ft) of torque all the way from 1,400 to 3,400 rpm. The interior provided comfortable accommodation, with reasonable, rather than generous, leg and head room for rear seat occupants, as well as those in the front of the car. Nice touches (among many) include the incorporation of handy elasticated pockets in the backs of the front seats. The boot was very spacious, and sensibly-shaped to accommodate a great deal of luggage. With the power transmitted to all four wheels via a sophisticated and easy-changing seven speed twin clutch automatic gearbox, and with bags of power and torque available across wide rev ranges, the QX30 was delightful to drive on a variety of roads, from winding lanes covered in slippery leaves, where it felt entirely sure-footed, to fast main roads. For the record, zero to 62 mph takes just 8.5 seconds, and the top speed is quoted as being 134 mph. During my test drive the mechanical refinement of the car was impressive at all speeds, and when cruising at a hushed 60 mph the engine needed just 2,000 rpm. The official fuel consumption figures show an Urban fuel consumption of 47.2 mpg, with a Combined figure of 57.6 mpg. Realistic real life consumption would probably work out at between 45 and 55 mpg – pretty impressive for a luxury car. Well-equipped and offering great performance, the enjoyable QX30 provides an effective alternative to mid-size ‘premium’ models from rivals –­ and may be seen as more exclusive since there are fewer of these Infinitis on our roads, as yet at least. Price: £34,225 (as tested, with a multitude of options, £37,725). Engine: 2143cc four cylinder diesel, 170 PS @ 3,400 to 4,000 rpm; 350 Nm (258 lb.ft) torque @ 1,400 to 3,400 rpm. Transmission: Seven speed twin clutch automatic; four wheel drive. 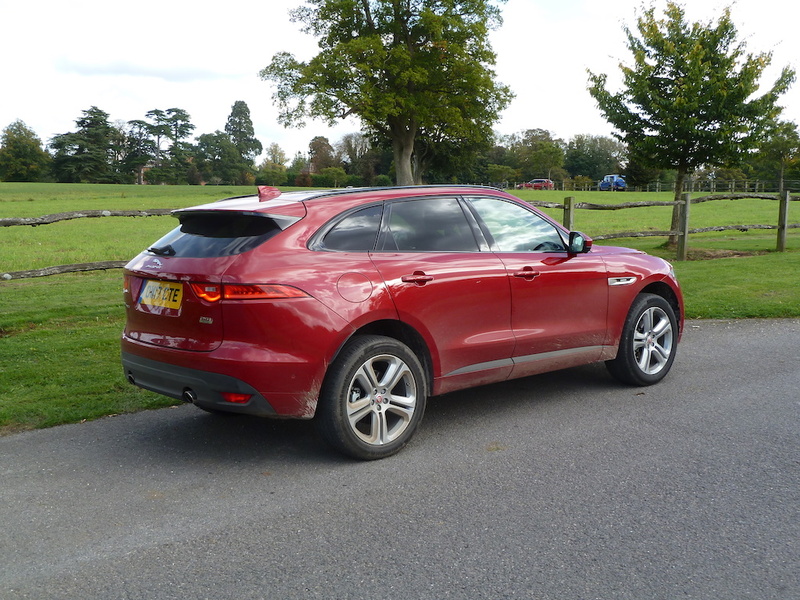 As available time slipped away towards the end of my driving day, I was pleased to be able to take a brief run in Jaguar’s F-PACE, the company’s five seater SUV (and their first SUV/crossover model), which is built at Jaguar Land Rover’s Solihull factory. My test vehicle was the R-Sport 2.0 250 PS version, powered by a 2.0 litre turbocharged petrol engine, developing 250 PS and a maximum of 365 Nm (269 lb.ft) of torque. This drives all four wheels through an eight speed automatic transmission, with Jaguar Sequential Shift, and incorporates ‘Trailer Stability Assist’ plus ‘All Surface Progress Control’ (‘ASPC’). The top speed is claimed to be 135 mph, having passed through the 60 mph mark from standstill in 6.4 seconds. According to the official figures, fuel consumption in Urban mode is 31.0 mpg, and 38.2 mpg for the Combined cycle. In real life this would probably translate into upper 20s to mid 30s, per gallon. 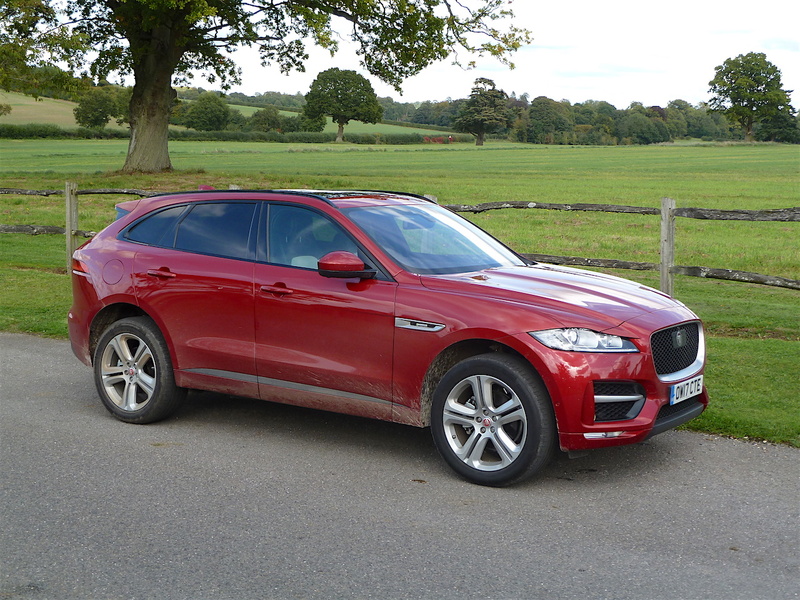 Certainly the way in which the F-PACE accelerated was impressive, and at all speeds, due largely to a sophisticated suspension set-up, the car felt well-composed, easy to control and safe. It was also very comfortable too, with the suspension coping admirably with broken surfaces and slippery tarmac sections on my test route. Overwhelmingly too, for a fairly large vehicle it was FUN to drive, and it would be a good companion on long journeys in particular, with a full complement of passengers (with generous interior space front and rear) and luggage (there’s plenty of room in the boot). The model I sampled costs £44,460 in ‘basic’ form (in fact, comprehensively-equipped), but with the vast array of options installed on ‘my’ car, the figure rose to a whopping £64,572. 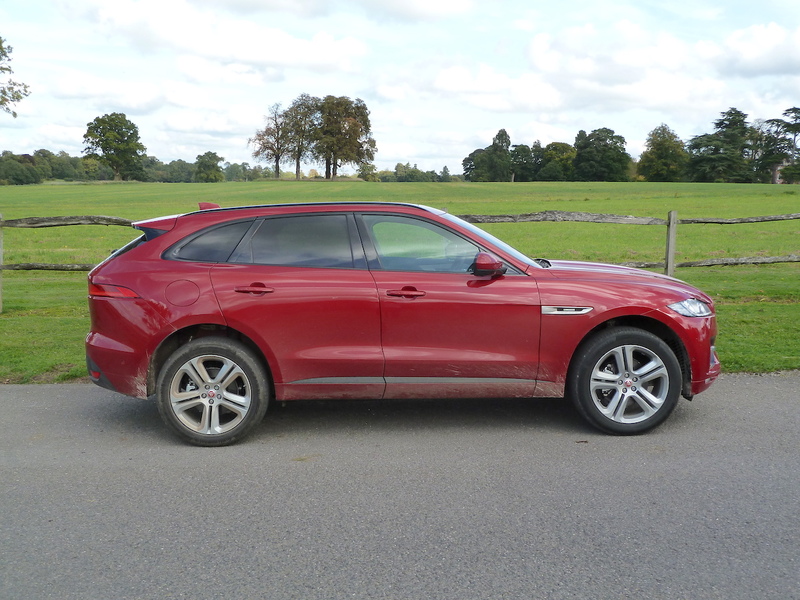 As examples, the options fitted included a panoramic roof with gloss black roof rails (£1,250), a memory pack for the 10-way seats (£1,670) a Navigation Pro with Meridian surround sound system (£2,140), and so on. A sophisticated, smart, competent, enjoyable and thoroughly modern Jaguar. Price: £44,460 (as tested, with a multitude of options, £64,572). Transmission: Eight speed automatic; four wheel drive.